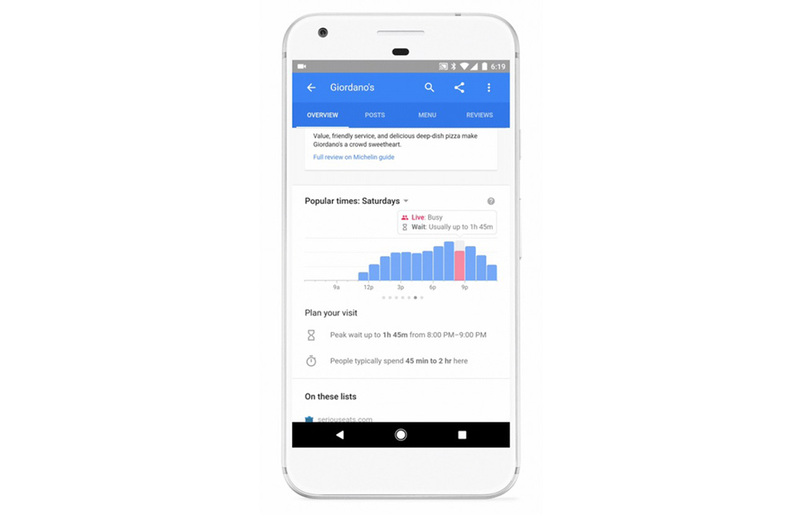 It has been almost a year since Google began showing their Popular Times feature in Google Search and Maps, so today, they are adding an additional bit of information to it. As you search for your favorite restaurants in Google, you’ll now see estimated wait times along with the busy indicator. In order to see the new estimated wait times, you’ll simply tap on the hour bars in the Popular Times section, as can be seen in the image above. So not only will you be able to see the times a restaurant is busy or if it might be busier than usual at the moment, you’ll also know just how long you might have to wait for a table should you show up. Google says that you should start seeing this new addition show up for “nearly a million” sit-down restaurants around the globe.